ABS-CBN has released an official statement regarding the announcement made by Kris Aquino recently (on TV Patrol Interview) that she would resign from all of her showbiz commitments (3 programs) in ABS-CBN. The said announcement is not possible to happen because she will still continue on her career when she returned to the Philippines from Europe trip with her kids. The Queen of All Media and the management of ABS-CBN Network will still have a discussion about the issue. “Ms. Kris Aquino and her kids are going on an earlier planned vacation starting today, March 23. Upon her return, Kris will fulfill her commitments to her soap Kailangan Ko’y Ikaw, which is nearing its end. She will also have to stay as a judge in Pilipinas Got Talent till its end on June. Being a foreign franchise, there are commitments we have to fulfill and rules we need to abide by. 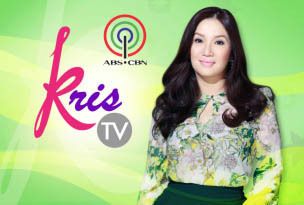 “Kris TV had taped advanced episodes in anticipation of her long planned vacation with her sons. “Ms. Kris Aquino and ABS-CBN management are also scheduled to meet upon her return to Manila. Meanwhile, we wish Kris and her sons a peaceful and restful vacation. We respect her need for privacy at this difficult time.” Bong R. Osorio, Head of ABS-CBN Integrated Corporate Communications.